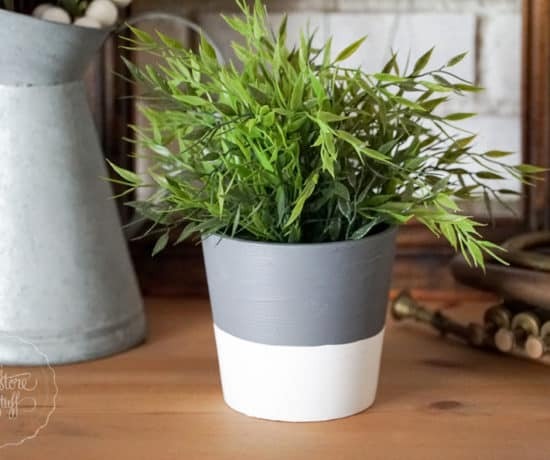 When a customer first contacted me with some enquiries about using Miss Mustard Seed’s Milk Paint, I had no idea that she was planning on painting her walls! I’m not sure how we missed that part in our text and phone conversations, seriously. Because it sure would’ve had my attention! 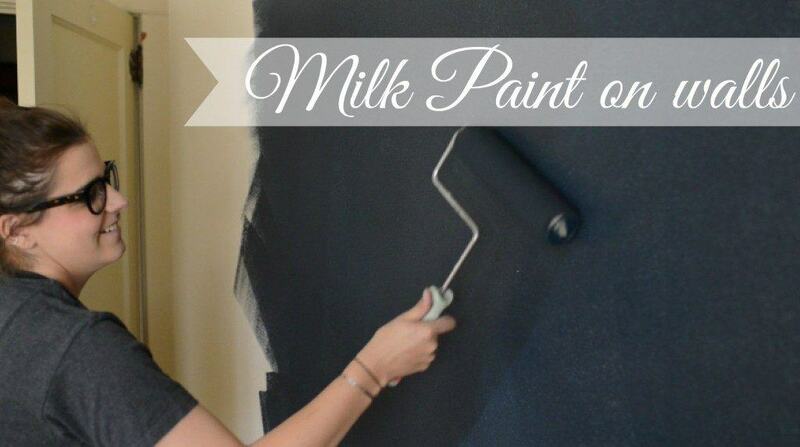 I’m used to painting furniture and decor, but had never tried using milk paint on walls. 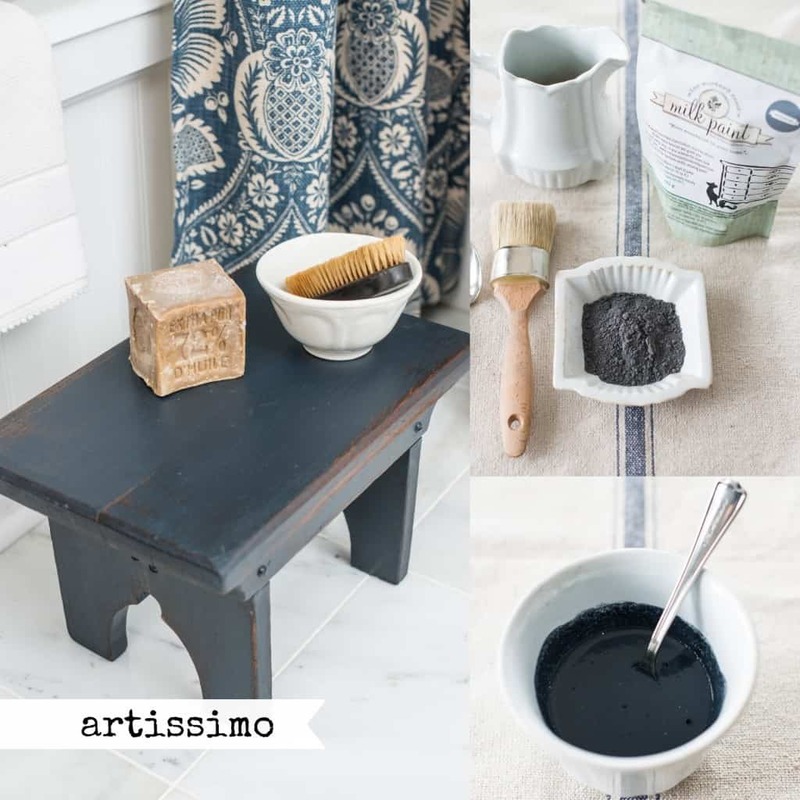 After enquiring a little more about MMS Milk Paint and it’s all natural ingredients; how it comes in a powder form and is a great way to achieve an authentic rustic or antique finish on your project, my client, Vandana, purchased large packets of the colours Artissimo and Trophy. I assumed she had quite a few projects she wanted in those colours. 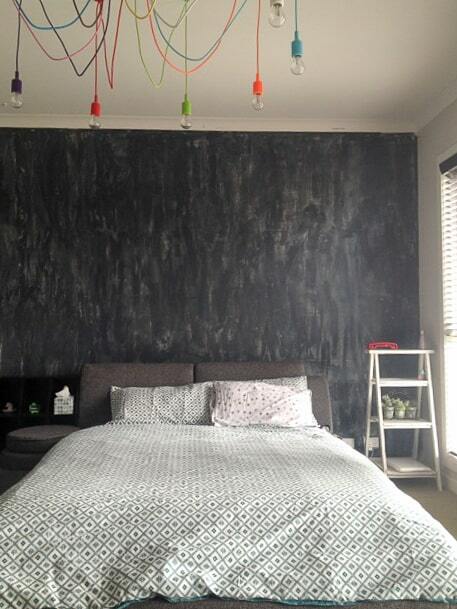 Then I received a call from Vandana asking about using the MMS Milk Paint on walls and how best to go about it. “Oh, walls! Really? Okay then.” Not the usual customer assistance request, but lets pull out my trusty resources and take a look! 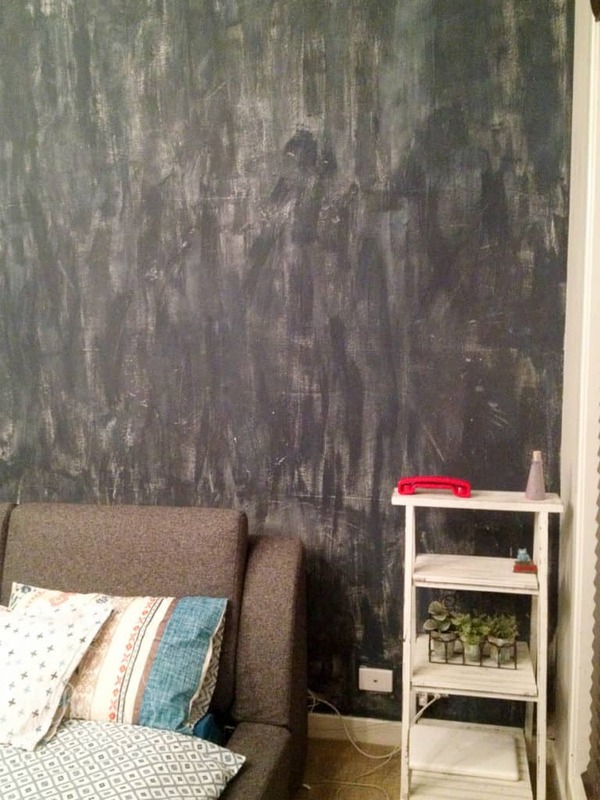 I was sure I’d seen a video post of Marian Parsons and Kriste Janczyk painting a wall in Artissimo Milk Paint in Kriste’s new house. So I headed over to Miss Mustard Seed’s Youtube channel to scrawl through their awesome vids and voila, I found it! Click on this pic for Kriste’s blog post about her Fall makeover. 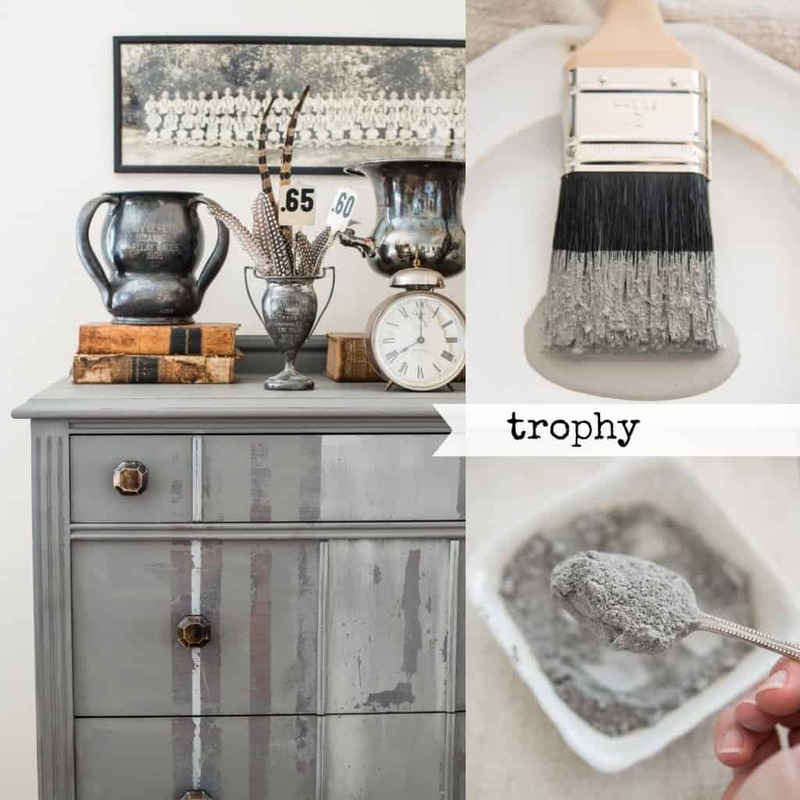 If I had known my milk paint history, I would have been aware that it had been used on walls from way back. MilkPaint.com says that “The oldest painted surfaces on earth were coloured with a form of milk paint. Cave drawings and paintings made 8,000 years ago … were made with a simple composition of milk, lime, and earth pigments. When King Tutankhamen’s tomb was opened in 1924, artifacts including models of boats, people, and furniture found inside the burial chamber had been painted with milk paint. 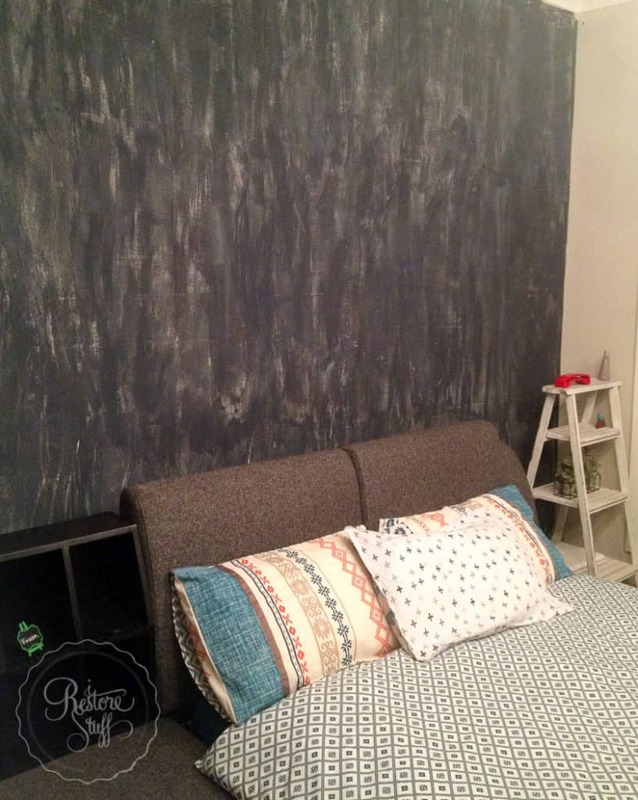 Vandana sent me some pictures of her newly milk-painted walls and was so excited about the effect that she was able to create with Miss Mustard Seed’s Milk Paint. I asked if it was okay for me to share her process and how she came up with this technique and the rustic result. Although this finish may not be everyone’s style or “cup of tea” so to speak, it truly suits the beautiful Eastern-Bohemian-rustic style that I could see coming through the look that Vandana was trying to achieve. 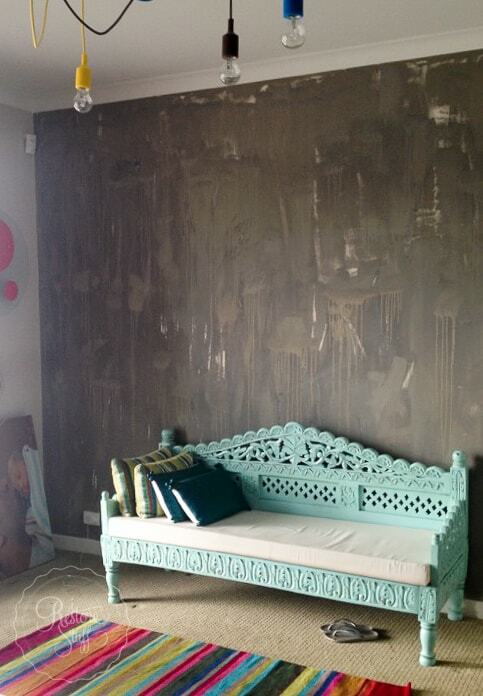 Achieving this rustic style with Milk Paint was happened upon by accident as Vandana experimented on her wall itself. 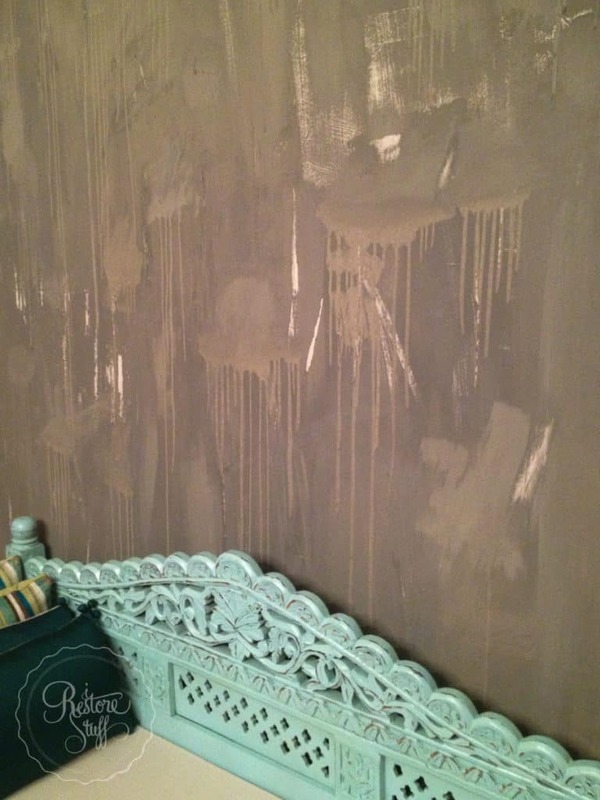 She figured that if she didn’t like it, she could sand it back and paint over – I like her thinking! The Artissimo wall was painted first with a white base primer. 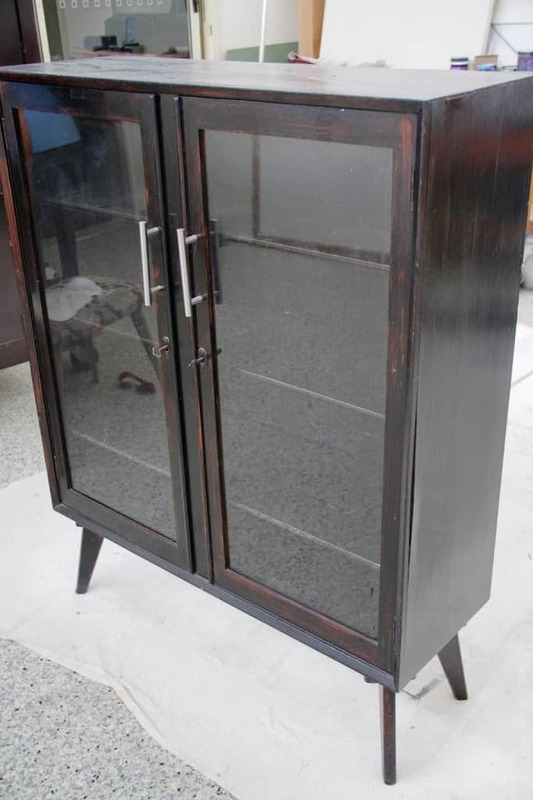 Vandana wanted to have some of the white peeking through her navy Artissimo finish in a rough and shabby finish, so the white base was to help achieve this goal. The Trophy coloured wall was painted over it’s existing paint, and as you can see in the bottom picture above, it was already a cream colour. 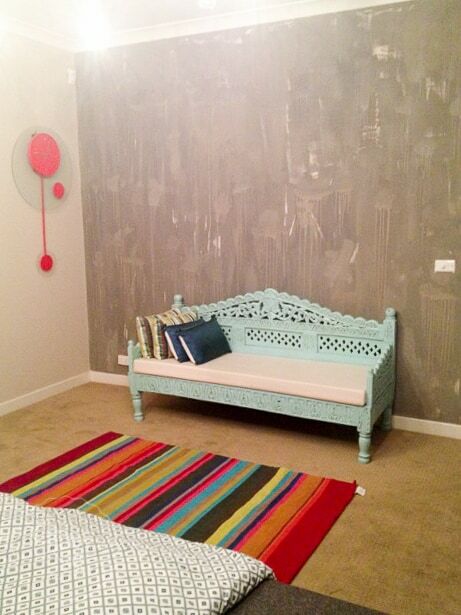 (left of the painted wall with the blue daybed). After mixing the MMS Milk Paint according to directions on the packet, (1 part powder:1 part water) the paint was applied to the walls using a roller. Then with a dry brush, Vandana brushed in sections, removing some of the paint to reveal the white paint underneath for a rustic appearance. On the Trophy coloured wall, she achieved a drizzle effect like rain in areas by letting the watery paint run down the walls in sections. Again, using a dry brush to scrub a little of the paint away, similar to how I would normally do a bit of distressing with sandpaper. Instead, Vandana did this when the Milk Paint was still slightly wet. What do you think? 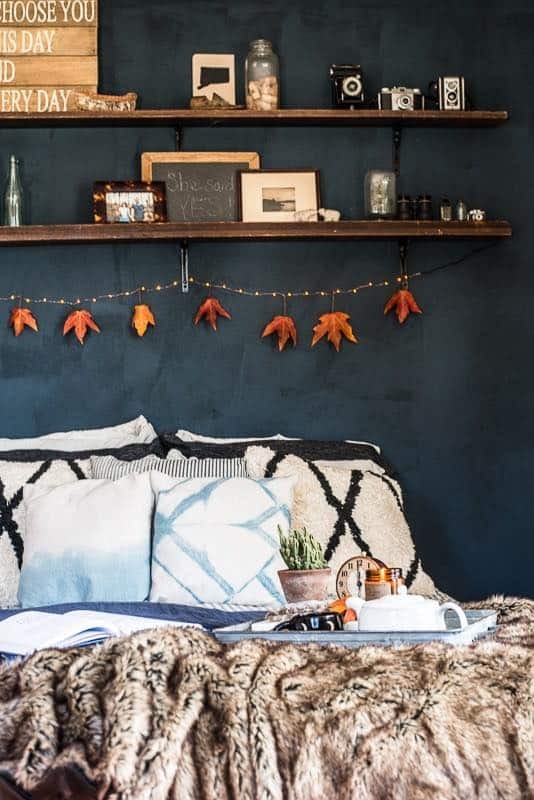 Where could you imagine using this type of rustic technique?